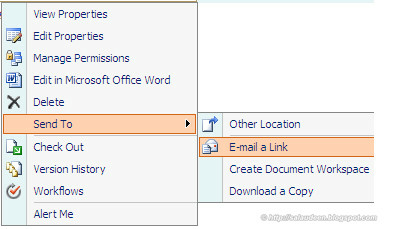 When I use the "Send to >> E-Mail a Link" in SharePoint 2007, it gave me the wrong link!!! But it should be: http://mysite.com/test/agenda.doc. Notice how the server name is URL encoded too. The %2E's should be periods. we need to do the same on all the SharePoint WFE and Application servers. once done we will need to do IISRESET on all the above servers.